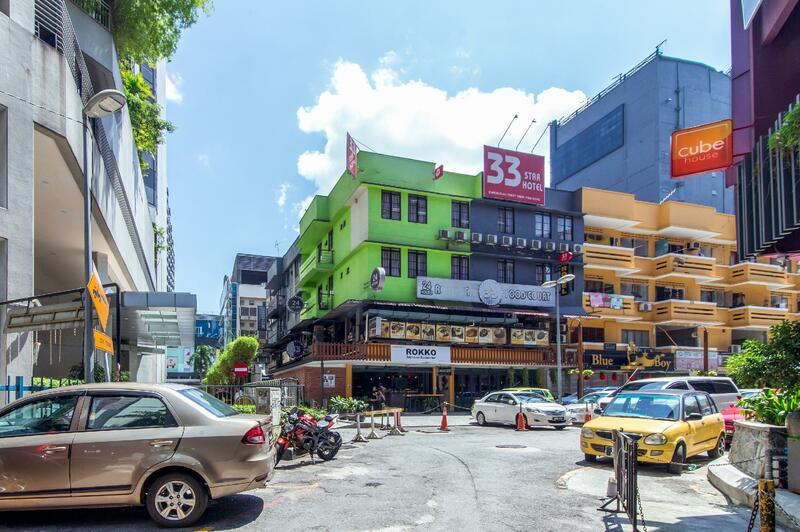 33 Star Hotel is gelegen in Bukit Bintang in Kuala Lumpur en een uitstekende keuze voor een ontspannen verblijf. Het stadscentrum is slechts 0.5 km verwijderd en het vliegveld kan worden bereikt binnen 47 minuten. Dankzij de praktische locatie liggen alle belangrijke trekpleisters in de buurt van het hotel. Het 33 Star Hotel biedt een onberispelijke service en alle essentiële voorzieningen om reizigers een plezierig verblijf te bieden. Dit hotel beschikt over vele faciliteiten die zelfs de meest veeleisende gasten zullen overtuigen. Ervaar kamerfaciliteiten van hoge kwaliteit, inclusief internet (draadloos), draadloos internet (gratis), rookvrije kamers, airconditioning, televisie, om tot rust te komen na een lange dag. Daarnaast garanderen de talrijke recreatieve mogelijkheden dat u zich tijdens uw verblijf kunt vermaken in het hotel. Het 33 Star Hotel is een ideale verblijfsplaats voor reizigers die charme, comfort en gemak zoeken in Kuala Lumpur. Een waarborgsom van 50 MYR is vereist bij het inchecken voor toeslagen of beschadigingen gedurende het verblijf en zal worden terugbetaald bij vertrek. I stayed here with my mom for three days four nights. I'll definitely stay here again for future trips. Hotel is near to the Bukit Bintang monorail station. 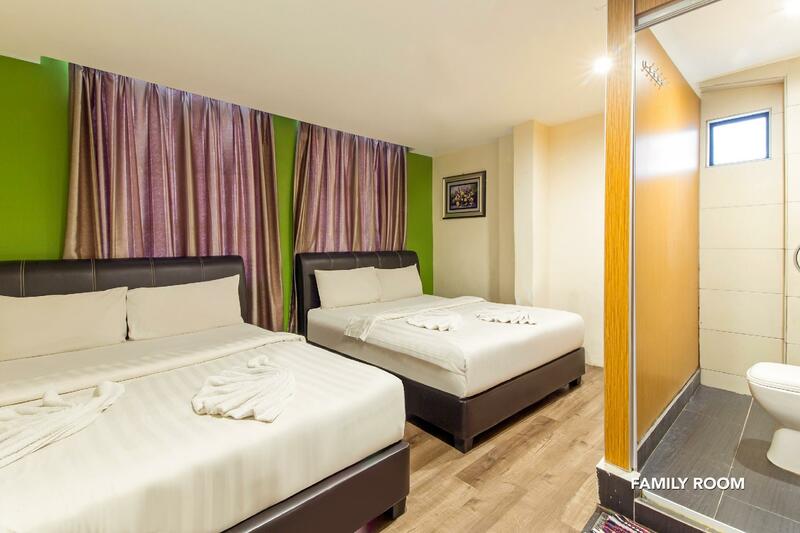 Pavilion, Lot 10, Fahrenheit, Berjaya Times Square, Jalan Alor food street is mere minutes away from the hotel. This hotel is located on top of a food court, so you will be greeted with a strong aroma as you walk up the stairs. Overall the hotel room is quite clean, apart from small critters and cockroaches running around sometimes (they are obviously surviving from the food court downstairs). WiFi works well for me. The staff are friendly and helpful too. You will need to inform them if you require make-up room service on a daily basis. There is only hot water for drinking at the lobby - what I did was just filling up water in the polysterene cups provided and let them cool down in my room. Air con works great too. Room does not have much space for me to move around, only a short table is placed in the room. But I'm still happy to get such a good deal in Bukit Bintang. Most importantly, I can sleep well. So thumbs up for 33 Star! I always stay here when I'm in KL. I like being in the heart of all the shopping without having to drive. There is noise at this hotel because of the location and also loud talking in the hallways. Wifi is always spotty and is generally slow. I love the location of this hotel. near to everything. just 3 minutes away from pavilion KL. easy to find food as the restaurant just down stair. the convenient store also available nearby. the cleanliness of the room need to be improved. the room is not soundproof as you can hear people walking and talking outside. The worst budget hotel ever. 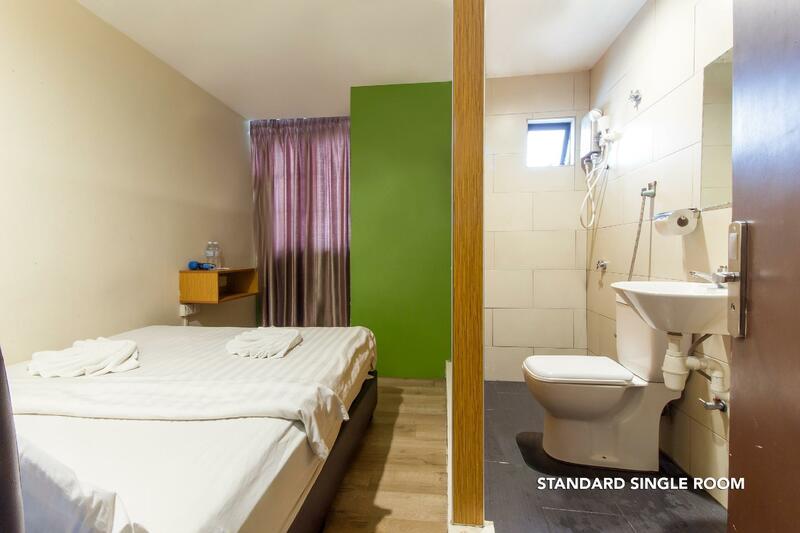 bed room and toilet under one room together. the partition divider blocking with no toilet door. ceiling still same...odour from toilet always running with aircondition...like i sleep on the toilet...damn...how to create the room like that..?????? The worst hotel We have ever stayed. Before we changed room, the room feels quite old and there’s also a crack on the air con, and for the bathroom there’s loud noises coming for the heater after using. There’s dead insects on the bed and also live baby cockroaches walking around the wall and on the floor. Dust on the floor as well. The cups are almost not usable and dirty. The bed sheets are pretty stained even though they said it’s new and has been in the laundry. But they did gave us a cover sheet to cover the bed,which was nice. There’s even booger at the side of the bed, how disgusting is that. No toothbrush or Colgate or Shampoo provided,only small soaps, be aware for that. We have stayed even cheaper hotels that has more items provided. Beside that, the staff are quite nice And the hotel location is quite good the hotel downstairs is food court and nearby theres maybank and kkmart and 7/11 and just 200m to Pavilion couldn’t deny the location is good. If you don’t mind staying in a poor hygiene environment you could consider but I think there’s still got a lot of better choice. 3 jam rm40 much better than buy a night. This hotel location is good, value for money, but poor thing is it has no elevator . you must bring your luggage up to the 3rd floor. Hotel is very bad although the location & price r OK. The staff was not so helpful. Bedsheet was dirty. there was no lift, u have to climb stairs up to 2nd level & also will pass through a dirty foodcourt which can make your clothes smelly. U can get a better hotel with same price in the area. There are blood stains on the sheets, can not replace a new one due to sheets not enough. Smelly... and doesn't look like the picture. Bad environment downstairs is under construction, not convenient to elderly people because motel is on second floor by staircase. Arriving tired.. Don't have a lift to lobby at second floor.. Room not available even we paid early.. Reason given "another guest extend".. Then have to wait for another 40 minutes for someone to fetch you and send to another branch.. Within this 40 minutes the hotel staff busy with his phone.. Fat staff (probably Bangladeshi) at another branch also busy with his phone too.. No towel & hanger.. Need to return back to counter asking for that basic thing.. My room located behind the pub.. If you want to stay bring your own ear plug.. I've been using the Agoda service since the early introduced all over the world that I'm traveled to as you can see from my history, but this is the Worst Hotel.. Furthermore, this is the first comment that I ever made..
Their service is always at its best. They will always recommend me the shortest route and cheapest ride I can get to the destination I wanted to go. Their service line is way better than other 3 stars hotel I stayed. Highly recommend for those backpackers too. Keep it up! The location is very accessible. Near train station, restaurants ( arabian/lebanese ), near pavilion, nearby the hop on hop off bus stop. Cleanliness you can just close an eye lol They got wifi but won't reach your room only in the reception area. This is great for backpackers. You get what you pay for. Positives + friendly reception desk (the one on duty at night) + near shopping area (high-end malls, small shops & street food) &, monorail + accessible to bus + very affordable price Negatives - hotel is very small, taxi drivers do not know it/had a hard time finding it - no elevator, reception located on the 2nd floor, our room was on the 3rd floor. you have to carry your bags up to your room, definitely not for seniors or those physically challenged. - towels are old, smelly - comforter looks, smells like it has not been washed - there was an instance where there was no water in the bathroom! had to just wipe off soap as we were told motor was being repaired, would still take an hour! some of us went to bed without taking a bath, a no-no to us! - in the 3nights that we stayed, they did not clean the room - when going up the hotel, at the 1st floor (food court area), 2 big rats were their welcome committee - we arrived midnight & the frontage of the building was dim, so it's a bit scary for first timers so bottomline, we werent really expecting a 5-star accommodation considering the price but there are a lot better hotels in the area with the same price range so check them out first before booking in this hotel. We were inform the hotel staff to change bed sheet to us on the first day check it but they didn't. First night I couldn't sleep at all I really feel those bacteria surrounding my hair, face and body. It was itch! 2nd day they did change for us and made an apologise. She said she is too busy. Well is ok... We will stay there again if only CLEAN. Anyway the location is great!! worst hotel ever!! read the bold letters friends. this is the worst rip off ever!! the worst dirtiest, smelliest place to stay. when i checkin the room there was no towel and no toiletries and i went to ask at the reception, they told sorry they dun have any towel available nor toilet paper. i stayed for 2 days and complained 5 times and they said sorry they dun have any towel. the internet doesn't work at all. the room looks like some cheap redlight area room!! all in all the worst hotel i've ever seen in all my years of travelling. I stay at Family room with 2 queen size bed. Even the room is small but the room and toilet are clean and comfortable. 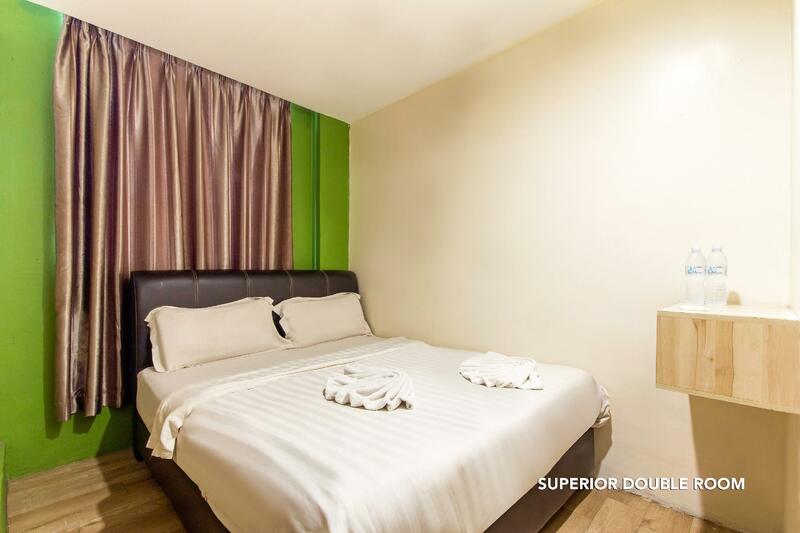 This hotel is located middle of Bukit Bintang which is in walking distance to all nearby attraction and you can find a lot of food and mall. The only bad thing is there is no car park for the guest. Booked a single room with no window but surprised to be assigned in a room with window. The single room is really cramped, so if you have big luggage, do not stay here as the rooms are located in the 3rd and 4th floor of the building with no elevator. The bed has stains, insects flying around and there are a few tiny cockroaches crawling everywhere. Wifi is fast but sometimes spotty. The staff is helpful and nice. Overall, my stay was still decent as it did not have a run-down feeling as compared to other budget hotels in Asia. 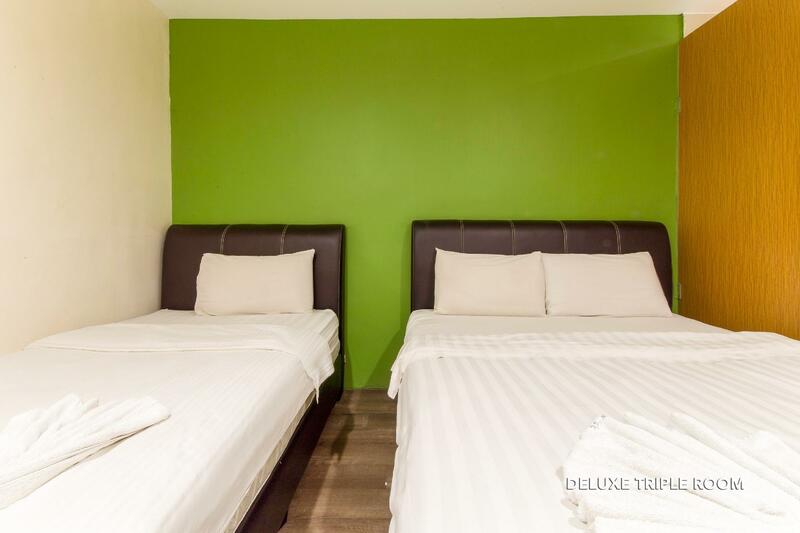 Located in the central area of Bukit Bintang, it's close to every shopping mall and nightlife places of the area. Just 5min walk to Pavilion (best shopping mall in KL) and Jalan Alor (best food street in KL). Under the hotel is a 24 hours food court which provides good and valuable meals. The staff is very friendly and helpful. Room is small but clean and comfortable. One of the best budget hotels!